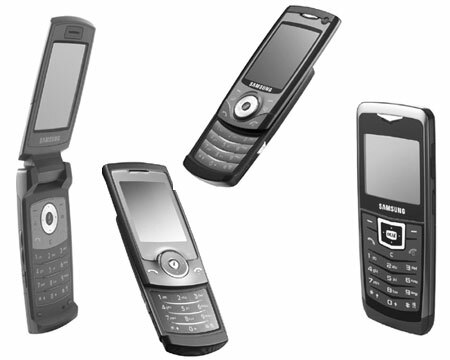 Samsung Electronics at 3GSM world conference unveiled the Samsung U100 phone, which is a part of Samsung’s Ultra Edition II line of handsets. Samsung claims the U100 phone which measures in at just 5.9 millimeters thick to be the world’s thinnest mobile phone. All three Samsung Ultra Edition II multimedia phones will feature 3 mega-pixel cameras, large display, internet connectivity and bundled music software. Samsung Ultra Edition II phones will be available in the first quarter, no price details have been reveled as of yet.